Eggplant is a vegetable with worldwide importance. It can have oval, elongated and round fruits that are striped or plain-colored, ranging from dark purple, light purple, green, yellow to white. They are used in many cuisines. They are boiled, stewed, roasted, pickled, fried, or baked. 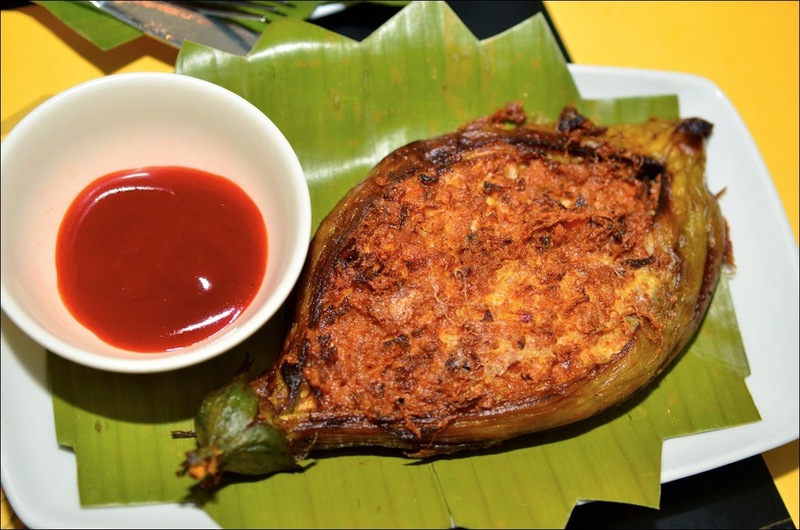 In the Philippines, eggplant is a popular ingredient in dishes such as pinakbet, torta, sinigang, ensalada, and kare-kare. 1. Put the eggplant and 250 ml water in a saucepan with 1 teaspoon of the salt. Bring to the boil, then reduce the heat to low and simmer until tender but not too soft. Remove the eggplant from the water and place over paper towel, cut sides down, to drain. Scoop out some of the flesh, leaving a firm shell. Finely chop the flesh and set aside. 2. Heat the oil in a large heavy-based frying pan over low heat. Add the garlic and onion and cook until golden. Add the pork and stir-fry until it changes colour. Add the tomato, pepper and remaining salt and cook for 15 minutes. 3. Add the eggplant pulp and continue cooking until the mixture starts to dry out. Remove from the heat, stir in the fresh breadcrumbs, taste and season with salt and freshly ground black pepper, if desired. 4. Divide the mixture among the eggplant halves to fill each one, then brush over the tops with the egg and scatter over the dry breadcrumbs to coat. 5. Heat the oil in a large heavy-based saucepan over medium heat. Add the eggplants and cook on one side for 10 minutes, before gently turning and cooking the top until golden. Serve hot.